– changed how we see Coral Reefs and the Oceans. 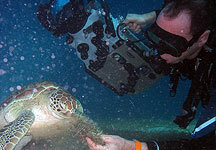 “He’s not just an underwater cameraman. Over 84 extraordinary minutes, “Coral Sea Dreaming” enters into the very heart of life – and death – on a coral reef. It’s a story that spans 500 million years and stars some of the most exotic, wondrous marine creatures on earth. Witness nature’s most incredible underwater spectacle of mass coral spawning on the Great Barrier Reef, journey to Western Australia to meet Ningaloo’s gentle whale sharks and giant manta rays and enter Papua New Guinea’s mysterious cauldron of life where alien creatures battle to survive. We meet thousands of reef inhabitants, from ancient turtles to feeding sharks, adorable pygmy seahorses to savage sea slugs. We witness a manta ray ballet and elegant displays of courting octopus. HD image technology captures these moments with unprecedented intimacy, illustrating elaborate mating rituals, feeding frenzies, intense nocturnal predation, cannibalism and chemical warfare. Corals are the planets greatest natural architects, and coral reefs host the highest biodiversity in any ecosystem. Emmy Award-winning cinematographer David Hannan has filmed and edited over nearly 10 years in order to create this magnificent testimony to our extraordinary undersea world. 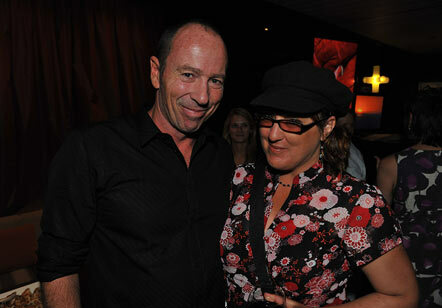 The program features an original score by Tania Rose. Many of the sequences have never been filmed before. Some may never be filmed again. Corals have survived 5 mass extinctions. But can they survive us? There is much that needs to be done in order to safe-guard these precious ecosystems for future generations… and very little time to do it. On a tropical coral reef there’s always something new to see! Although unfamiliar to many, reefs feature an astounding array of life forms and literally endless variety in moods and countless magical moments. David Hannan’s unique approach to filming is to discover and fully document marine habitats, the natural ebb and flow of currents as well as colourful sea creatures going about their lives. Nature and life itself happen in ‘real time’, brought to the screen it becomes a ‘Virtual Ocean’. Re-imagined through the eyes of a visual artist using software on digital canvas, David Hannan has also created a collection of unique, abstract yet compelling ever-changing ‘Surreal Seas’ videos as Ocean Art. First presented as bonus programming with the 20th Anniversary Collectors Edition, ‘Virtual Aquariums’ are like a window onto another world. Now available also for other platforms. Millions of people – including recreational divers, photographers and artists – were first introduced to coral reefs through David Hannan’s now classic, best-selling, musical video “Coral Sea Dreaming” which was first released in 1992. Many years and several editions later, this totally new version has been recreated with all new footage in full HD to suit larger screens and an extended musical score by Tania Rose. The incredible High Definition sequences in this special 20th Anniversary Collectors Edition of Coral Sea Dreaming were captured over a decade by Emmy Award winning cinematographer David Hannan on over 2000 dives on the Great Barrier Reef, Ningaloo Reef in Western Australia and in the unexplored waters of Papua New Guinea in the Coral Triangle. Still available on DVD and Blu-ray disc, now also on Vimeo VOD. More viewing options and ways to explore David’s amazing world of tropical coral reefs are coming out soon. 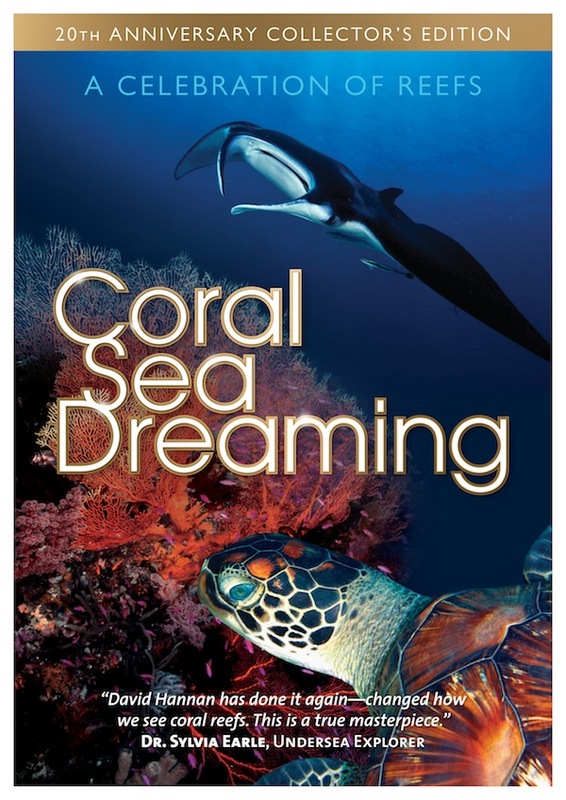 Checkout more info about Coral Sea Dreaming – The Channel and The Picture Book. 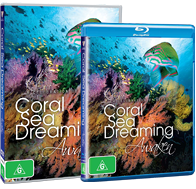 Customers in Australia and New Zealand can still purchase “Coral Sea Dreaming – Awaken” on either DVD in PAL format or Blu-ray. 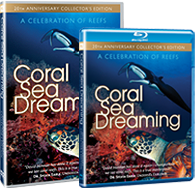 Customers in the USA & North America can purchase “Coral Sea Dreaming – 20th Anniversary Collectors Edition” on DVD in NTSC format or Blu-ray. 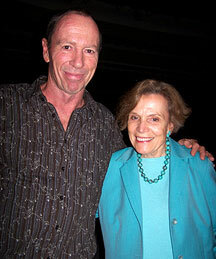 Above: David Hannan with Dr. Sylvia Earle. Ocean Ark Alliance (OAA) is a non-profit organization dedicated to supporting, sponsoring and promoting marine education and the conservation of oceanic environments. Founding members and development partners of OAA include world-renowned scientists, underwater explorers, filmmakers, marine artists, media specialists, business leaders, physicians and health care professionals. OAA’s mission is to create a deeper appreciation of some of the most wondrous, yet fragile, ecosystems on our planet. Our initial focus will be coral reefs, coastal communities and polar biomes. By purchasing Coral Sea Dreaming products, you are helping us save coral reefs for future generations. A percentage of Sales revenues will be donated to OAA.